Papua New Guineans are urged to live a healthy lifestyle because lifestyle change and the prevalence of non-communicable diseases are rising. This was the message that Health Minister Sir Puka Temu conveyed to the United Nations last week. Sir Puka told the UN General Assembly that PNG was experiencing an increase in blood pressure, diabetes, stroke and cancer which is the leading non-communicable disease. At the high-level meeting on the prevention and control of non-communicable diseases last week in New York, he noted that as lifestyles changed, the prevalence of non-communicable diseases was rising and was a threat to the country. Sir Puka and the Health Secretary Pascoe Kase have returned from attending a conference in New York on TB and non-communicable diseases (NCD) and expressed how he felt on reporting on TB and non communicable disease in PNG. 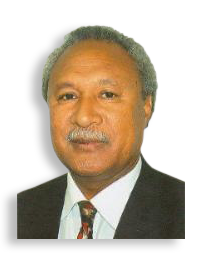 “It was before the world leaders at two important conferences on TB and NCD like heart attack, diabetes, kidney diseases and others where I revealed that PNG is among top 30 countries in the world with the highest TB burden,” he said. • Implementing the Cancer Control Policy and a National Multi-sectoral Strategic Plan 2015 to 2020 for Non-Communicable Diseases. TB is being keenly felt in PNG and it remains a public health threat and kills more people in the country than any other infectious disease.